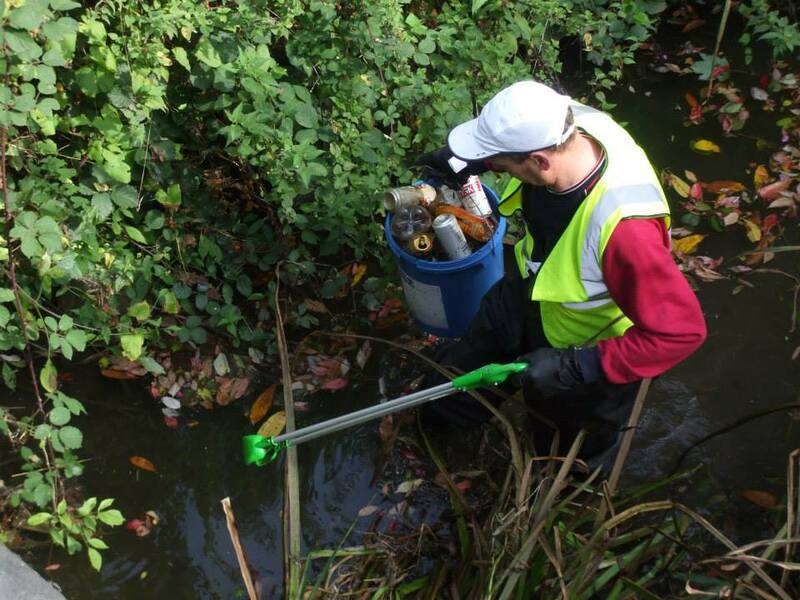 On Saturday last, the chance came for our resident Brummie committee member, Steve Lee, to don his waders for the first time and clear out some assorted rubbish from the river underneath and immediately around Hawker’s Bridge. An impromptu committee email found three or four members all free on a Saturday afternoon, who thought that a spot of clean-up patrol was preferable to watching the football scores coming in. 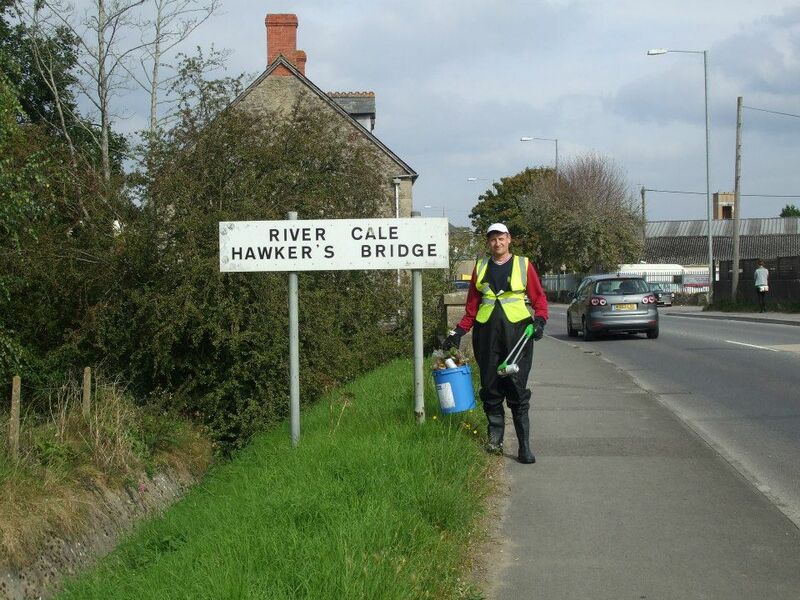 As might be expected, the bridges are the sites where most river rubbish is found, as it’s so easy for people to casually throw their litter over the sides; the area around Hawker’s Bridge is regularly covered in our organised litter picks, but it had been building up quite quickly recently. A brief two-hour stint was able to move large quantities of plastic bottles, drinks cans and similar, along with one child’s scooter and a few other larger pieces. It seems clear that the litter problem is gradually becoming less, as more and more people become aware of our work and realise that the river is not supposed to be a rubbish dump. For that we are grateful to the large majority of townspeople. Unfortunately, it only takes a very small minority of selfish people to cause a sizeable litter problem; but we are on the alert, and will continue our efforts to clear out the rubbish as quickly as it builds up.